Providing the best balance of cutting-edge strength and operational versatility of all the insert shapes, these rhombic inserts have an 80° point angle and are a good choice for a wide range of longitudinal turning applications. 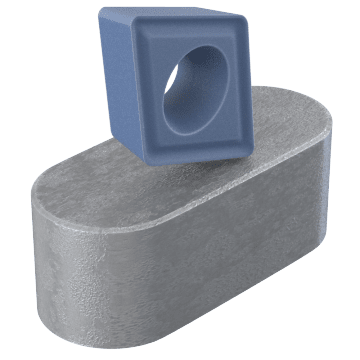 With a cutting edge that is stronger than a trigon insert but less strong than a square insert, they are recommended for facing, roughing, light roughing, and semi-finishing applications. Insert shapes are available with a range of point angles. 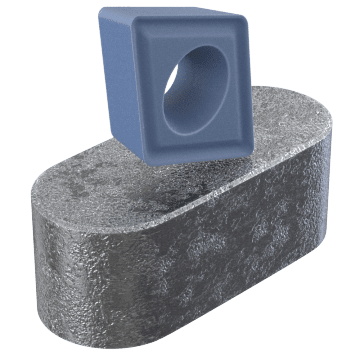 In general, inserts with a large point angle have a stronger cutting edge but produce more vibration and require more machine power than inserts with a small point angle. 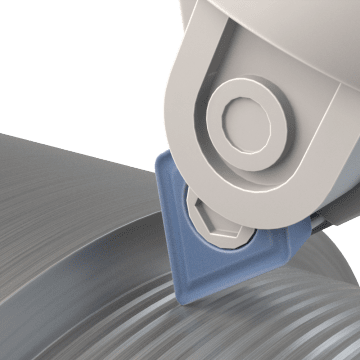 Inserts with a small point angle are more versatile, provide better accessibility for detailed cutting, produce less vibration, and require less machine power than inserts with a large point angle, but they have a weaker cutting edge and may be more prone to heat damage. Inserts are available with a negative or positive basic shape. Negative inserts have a 0° clearance angle. They provide good edge strength and are recommended for external turning and heavy cutting applications. Double-sided negative inserts offer twice as many cutting edges as positive inserts, but single-sided negative inserts provide the best stability in heavy roughing applications. Positive inserts have a clearance angle that is greater than 0° and are a good choice for internal turning applications and external turning applications on slender workpieces. Positive inserts are single sided and produce lower cutting forces than negative inserts. These turning inserts are the first choice for machining steel. When machining stainless steel, use these turning inserts for best results. Choose from a range of turning inserts that perform well when machining on heat-resistant materials. 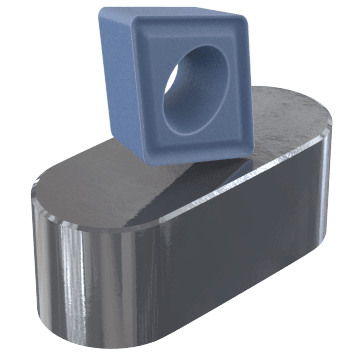 Use these turning inserts for good performance when machining hardened materials. 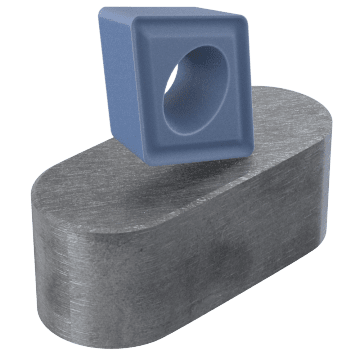 Get good results when machining on cast iron with these turning inserts. Machine aluminum and other nonferrous materials with these turning inserts. A good choice for a range of materials, these turning inserts can be used for a variety of machining tasks.